The L-G in his letter to Bharadwaj said sealing is a complex matter and the MLAs can communicate their suggestions through Delhi urban development minister whose department is responsible. 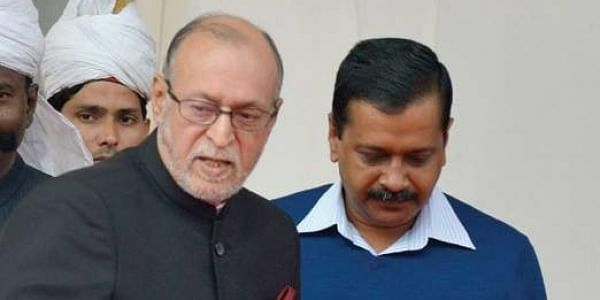 NEW DELHI: Lt Governor Anil Baijal today wrote back to AAP MLA Saurabh Bharadwaj over the ongoing sealing drives in the city, saying all possible solutions are being explored to overcome the "crisis". Last week, the Greater Kailash legislator had written to Baijal seeking an appointment of AAP MLAs with him to discuss the sealing drives being carried out by the municipal corporations since last month against properties for alleged violations of civic norms. The L-G in his letter to Bharadwaj said sealing is a complex matter and the MLAs can communicate their suggestions through Delhi urban development minister whose department is responsible for processing some of the possible solutions like notification for mixed land use of streets. "All possible solutions are being explored to overcome the crisis, keeping in view the judicial pronouncements on the subject and extant laws," the L-G office said in a statement. It stated that this is a very serious matter and concerns the livelihood of lakhs of people and also planned development of Delhi. "While Lt Governor appreciated the concern of MLAs and welcomed any constructive suggestions, he strongly advised against any attempt to trivialise the matter," the L-G office said. Meanwhile, the Aam Aadmi Party alleged that its leaders Ashutosh, Dilip Pandey and other MLAs were detained by the police during its march to Parliament against the sealing drive and FDI in retail sector. The protesters had gathered near the Parliament Police station on Sansad Marg for the march, but, the police did not allow them to proceed. Later, Bharadwaj said those AAP MLAs who have not been detained by police will reach the L-G house and demand immediate changes in Master Plan 2021 by the Delhi Development Authority (DDA) to stop sealing in Delhi. The Lt Governor is the chairman of DDA.